Reaching an agreement with your spouse about how you will parent your children now that you are no longer living together is perhaps one of the most crucial elements of a divorce. Your children can be harmed by parenting plans that are ineffective or that one or both parents refuse to follow. Parenting plans can be especially difficult to develop if your divorce case is headed to court. 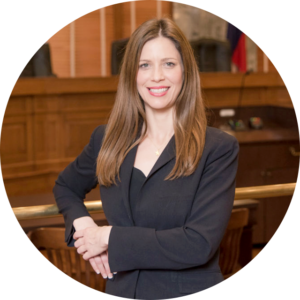 At Meredith Clark Law, our founding attorney, Meredith V. Clark, has experience both as a litigator and as a family law practitioner. She combines these two threads of her legal career to assist clients in drawing up parenting plans that are fair and equitable, and will withstand a judge’s scrutiny when they are presented in court. What Is Covered In Co-Parenting Agreements? Depending on your case, some of the basics of a co-parenting agreement may emerge as your court case proceeds. A strong co-parenting plan, once completed, will provide an overview of how you and your spouse will care for your children now that you are in two separate households. Another option to consider in particularly high-conflict divorces is crafting a parenting plan that focuses on “parallel parenting.” In this parenting approach, the parents have the least amount of interaction possible. Our lawyer can advise you about how these agreements operate and counsel you on whether this is a viable option for your individual circumstances. You do not have to try to figure out parenting plan issues by yourself. Having a dedicated, caring, aggressive divorce litigator on your side can make a huge difference. Contact Ashley in our office by filling out our online contact form.